My children love listening to radio dramas. 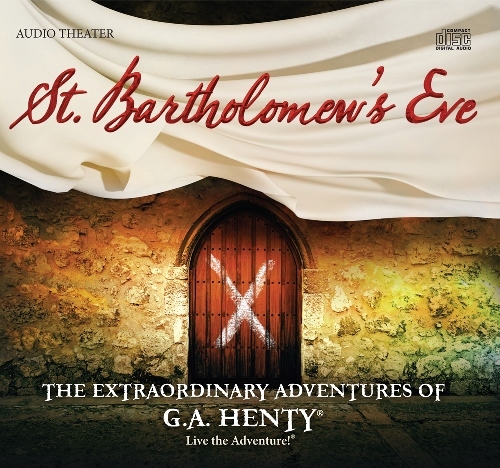 We have thoroughly enjoyed our newest from Heirloom Audio, called St. Bartholomew’s Eve. Typically our family would start playing the CD during our after lunch quiet time while working on puzzles or quietly playing while the toddler napped. My oldest son also liked to take the CDs into his room to listen to as he falls asleep at night. I love that The Extraordinary Adventures of G.A. Henty stories always leave my children begging for more. St. Bartholomew’s Eve is about the Huguenots in France. It tells of how the Huguenots were being killed for just believing Christ. Ned and his cousin, Sebastian sneak out of church and run into George Henty. George tells them the story of an English Huguenot boy who goes to France to fight in the war along side his cousin Francois and his new friends. Soon the people are wondering who they should obey, the king of France or the King of Kings. At the of George’s story, Ned and Sebastian realize that they should take time to worship God, since people fought and died to give us the freedom to worship God without having to fear. What an amazing story and much can be learned from this audio drama. St. Bartholomew’s Eve is a wonderful choice for evening together time as a family or quiet time during the day. Heirloom Audio uses “active listening” in their dramas so that the listener can experience the full effect of the story through sounds. The sound effects throughout the CD are extremely well done. So well, in fact, that it makes you feel like you’re in the midst of the story. With over 2 full hours of story-telling, Heirloom Audio truly brings Christian history to life! 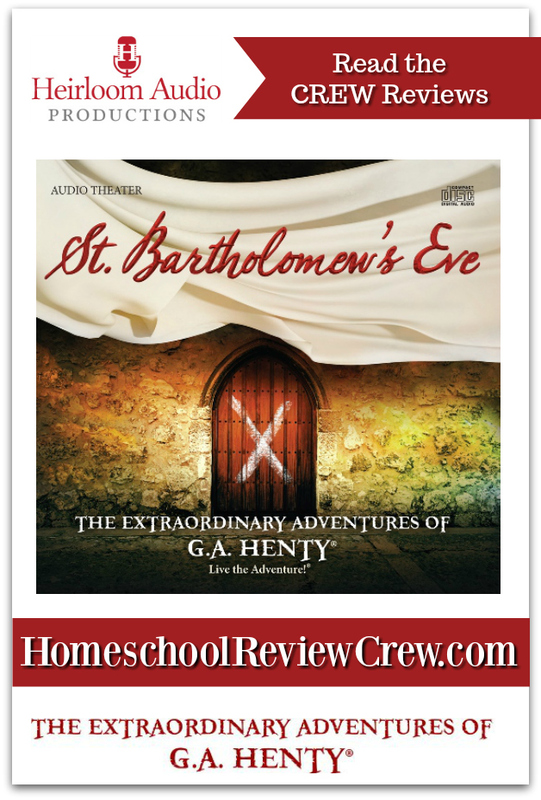 We’ve reviewed for Heirloom Audio before and like the others before, St. Bartholomew’s Eve did not disappoint. The audio dramas by Heirloom Audio are quickly becoming our family’s favorites for passing the time on long car rides, enjoying quiet time, or just sitting together as a family. Although it’s geared for children ages 6-16, I found this particular one might be better suited for older children. All of the kids enjoyed listening, however there were a few intense parts that caused my 7 year old to be a little fearful, especially given the sound effects. The older kids were fine, though. As a family, we are a huge fan of Heirloom Audio and are looking forward to their next release! For more information, please visit the Heirloom Audio website or check out St. Bartholomew’s Eve.The 2-CD set can be purchased for $29.97 plus shipping and handling. MP3 download is also available for $19.97.